Genetic differences could help to explain why some babies are born bigger or smaller than others, according to new research from the Early Growth Genetics (EGG) Consortium. An international collaboration of researchers including experts from the University of Bristol’s School for Social and Community Medicine and the Avon Longitudinal Study of Parents and Children have found that genetic differences provide an important link between the biology contributing to an individual’s early growth and their chances of developing conditions such as type 2 diabetes or heart disease in later life. The large-scale study, published in Nature, could help to target new ways of preventing and treating these diseases. It concluded that a substantial proportion (at least one-sixth) of the variation in birth weight is down to genetic differences between babies. This is seven to eight times more variation than can be explained by environmental factors already known to influence birth weight, such as the mother smoking during pregnancy or her body mass index (a measure of obesity) before pregnancy starts. It has been known for some time that babies whose birth weight is well below, or well above, average have a markedly increased risk of diabetes many decades later. Until now, many researchers have assumed that this link reflects the long-term impact of the nutritional environment in which the foetus develops: in other words, that events in early life can “set up” an individual’s body in ways that make them more prone to disease in later life. In this new study, the researchers uncovered a substantial overlap in the genetic regions linked to differences in birth weight and those that are connected to a higher risk of developing diabetes or heart disease. Most of this overlap involves the baby’s genetic profile, but the team found that the mother’s genes also played an important role in influencing her baby’s birth weight, most likely through the ways in which they alter the baby’s environment during pregnancy. Professor Mark McCarthy at the University of Oxford, and co-lead author, said: “These findings provide vital clues to the some of the processes that act over decades of life to influence an individual’s chances of developing diabetes and heart disease. These should highlight new approaches to treatment and prevention. Understanding the contributions of all of these processes will also tell us how much we should expect the many, wonderful improvements in antenatal care to reduce the burden of future diabetes and heart disease”. The researchers analysed genetic differences throughout the genomes of nearly 154,000 people from across the world. Around half of these came from the UK Biobank cohort. 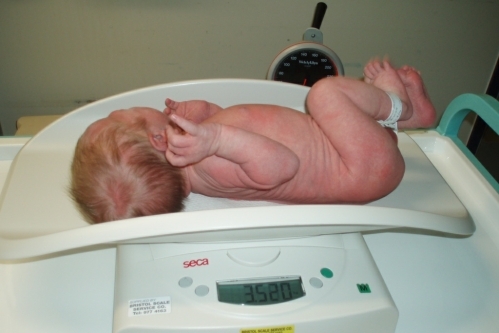 By matching the genetic profiles of these people to information on birth weight, the researchers could identify 60 regions of the genome that were clearly driving differences in birth weight. They then analysed data from previous studies on conditions including diabetes and heart disease, and found that many of the same genomic regions were implicated. The study was jointly led by a team of researchers from six institutions including the universities of Bristol, Exeter, Oxford, Cambridge and Queensland, and the Erasmus Medical Centre in Rotterdam. The work was supported by more than 120 research funders: the major sources of funding for UK researchers were the Wellcome Trust, the Royal Society, the Medical Research Council, the National Institute for Health Research and the European Union. The above post is reprinted from materials materials provided by University of Bristol.